Recently a crass video of Jimmy Anderson ripping Ashwin's picture into shreds went viral and many felt that it was done in bad taste. "Today Jimmy Anderson might feel that whatever I did was wrong. Maybe, tomorrow he might end up doing (Mankading) it. Who knows, it is all a question of perception of right and wrong. I don't think in this case it is necessary because it is in the law and I did," Ashwin told India Today. The senior India off-spinner is clear that what he did was within the purview of the playing conditions. "Everybody who know me, it is very clear (to them) that I don't do anything that is illegal. Even my team has stood behind me since then. A lot many players have come to me and said whatever I did was absolutely right," Ashwin said. The 'Mankading' controversy evoked mixed reactions in the cricketing community with custodians of the game MCC also doing a flip-flop. Asked if the controversy has affected him, Ashwin answered in negative. "Not really, it hasn't affected me one bit at all. I am very happy for the fact that they (former and current England players) are standing up for their fellow countryman. I definitely do think that my countrymen have also stood up for me. And it is only fair that your peers stand up for you," he said. The MCC after initially stating that Ashwin was right, did a U-Turn, stating that the "bowler paused in his delivery stride and waited for the batsman to leave the crease before running him out". Ashwin said that the debates can continue "till cows come home". "There have even been debates about whether I waited for him to walk out of the crease. But, what people don't understand is that I hadn't even reached the crease and he started walking away. Once your action is complete, you cannot go down and hit the stumps," he said. "I just feel by the whole criticism, the way people have reacted, some experts who have been bang-on too - that it is just going to throw chills down the spine of a lot of bowlers about not wanting to do it again," he opined. The 32-year-old, who has 342 Test wickets and 150 ODI scalps, also doesn't understand the fuss about the 'Spirit of the Game'. "There are people who have been speaking about the incident over and over again. People have nicked the ball and actually debated about taking a DRS. As a batsman when I nick the ball, I know I have nicked it so there is no question of deliberating or taking a DRS," Ashwin tried to point at how some of the critics have changed their positions conveniently. 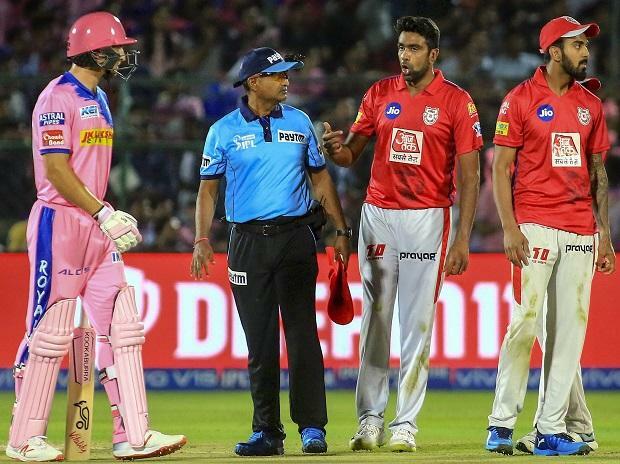 Just like Buttler, Ashwin also feels that the authorities should decide what is permissible as per rules of the game. "I actually think that if you bring in the 'Spirit of the Game' into this and keep on talking about it again and again, it is up to the authorities to decide that whether you want to continue this as a rule of the game or not." He then sarcastically pointed how the bowlers are expected to follow all the norms while it is different for the batsmen. "I have to inform which side of the wicket I am bowling from, I have to bowl from behind the crease, the line belongs to the umpire, the line sometimes belongs to the batsman the inner half of it, he can stand right-handed and hit me left-handed, he can make a switch hit and he can actually walk down the pitch and hit me too," Ashwin said. "What about the spirit of the game when it comes to bowler's psyche? To me, as I said, it is all about my conscience," he said.